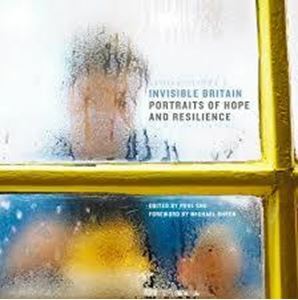 Invisible Britain: Portraits of Hope and Resilience reveals untold stories from people who have been left out of the media narrative and left behind by government policy. Invisible Britain: Portraits of Hope and Resilience reveals untold stories from people who have been left out of the media narrative and left behind by government policy. Featuring new work from award-winning and accomplished documentary photographers (including Andrew Jackson, Jenny Lewis, Jo Metson Scott, Laura Pannack, John Spinks and Jon Tonks), the book presents people speaking in their own words to create a narrative that illustrates how an unprecedented world of austerity, deindustrialisation and social upheaval is affecting us all. With a foreword by actor and activist Michael Sheen. What does it feel like to be forced to turn to foodbanks for help? What does it take to get emergency food, and what's in the food parcel? Inequality is more than just economics, it is the culture that divides and makes social mobility almost impossible.